Putting Their Children at Risk? In early April, the Kaufman family set sail across the Pacific from Baja California. 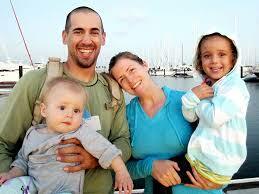 On their 36 foot sailboat were mom and dad – Charlotte and Eric – and their daughters: Cora, 3, and 1 year old Liza. Some 900 miles out to sea, Liza started to get very sick, including a rash all over her body, and didn’t respond to antibiotics. The Kaufman’s had to call for assistance and they were rescued off of their boat and flown to shore. 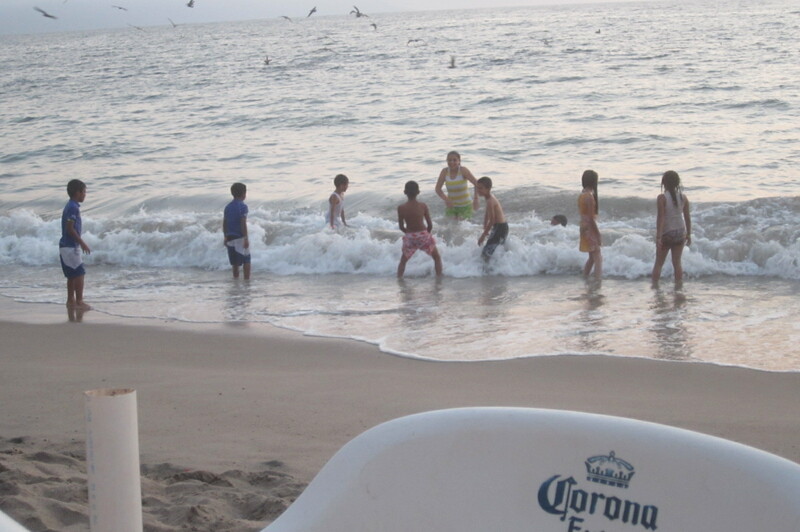 A recent visit to Puerto Vallarta, Mexico, watching kids playing in the ocean there, and reading a book on the environment (“Green Illusions”) while I was there, got me thinking more about this issue. “Yes, but why put your children at risk?” some people ask. 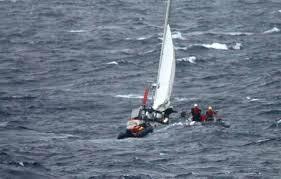 The sailing magazine “Latitude 38” asked that of readers. 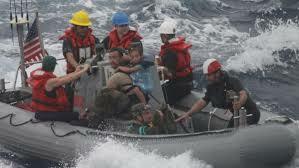 Many reported on meeting young kids who were cruisers. They reported on how well adjusted these kids seemed to be, on their sense of responsibility and independence, on how well they related to adults. Having sailed to distant lands and often spent months ashore, these kids didn’t just study different cultures; they lived them. Maybe more important than anything, considering the environmental crisis that is developing, one of the most important things for our children to develop is a sense that we are part of nature, that we don’t stand above and apart from it. What better way to develop that than on a sailboat? On the other hand, there are the extreme risks raising children in modern-day capitalism – risks to both the mental and the physical health. According to one report, the average child under eleven watches some 2.8 hours of TV per day, and from 12 – 17 years old they watch 3.4 hours per day. And what do they see when they are watching? One 2002 study estimated that the average 18-year-old has watched 200,000 acts of violence on TV. And that probably didn’t include watching football. Added to this is the increase since then of the popularity of video games, of which over 85% are violent according to “Psychology Today” (7/17/2006). All serious studies show that watching violence, and participating in it through video games, increases a tendency towards violent actions and decreases natural human empathy. Study after study has linked TV watching with the view that material possessions equal happiness – consumerism, in other words, while at the same time being directly linked with feelings of isolation, with alcoholism, etc. Even simply limiting TV watching – or preventing it altogether – won’t eliminate these influences since unless the parents want to raise their kids in an ivory tower they will be influenced by peer pressure. Of course, it’s possible to raise children who are mentally and physically healthy in modern US capitalist society. But who is to say that the risks are any less than those kids who are off sailing the seven seas. 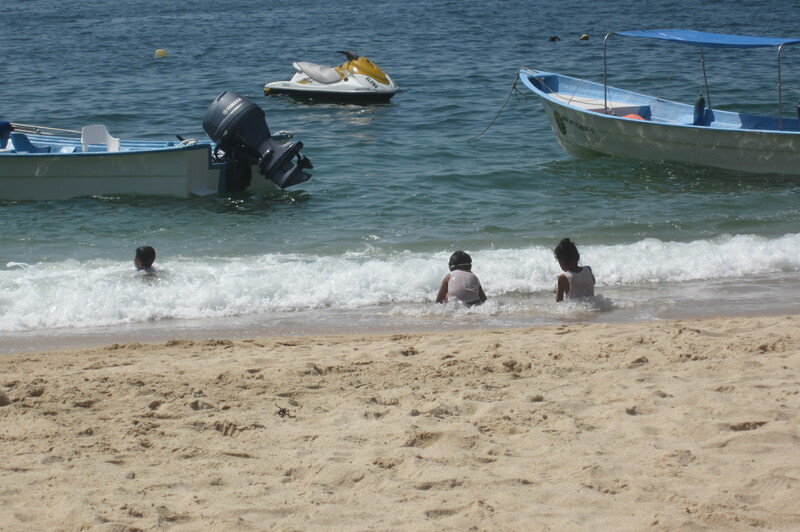 Oh, yes, and as far as Mexico: I spent nearly one entire day watching a group of little children playing in the surf. They jumped up and down, even dove into the little waves, they lay down and allowed the water to tumble them over, they ran around and laughed. For hour after hour they played, with not a fight or conflict the entire time. It kind of makes you wonder, doesn’t it?